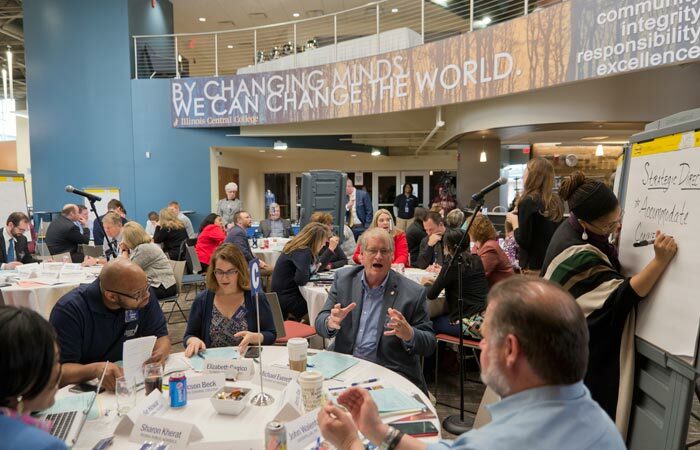 More than 100 community leaders and ICC Faculty & Administrators came together for a Strategic Planning Conference hosted in the new Student Center at the ICC Peoria Campus last week. 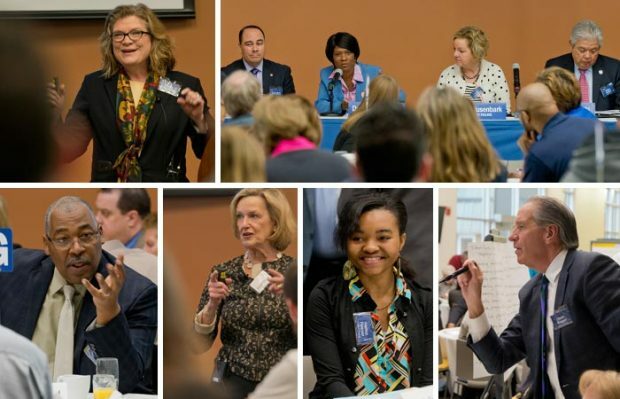 The conference is the culmination of a college-wide, strategic planning process using input from ICC faculty, staff, and students to help meet the changing workforce needs in Central Illinois. 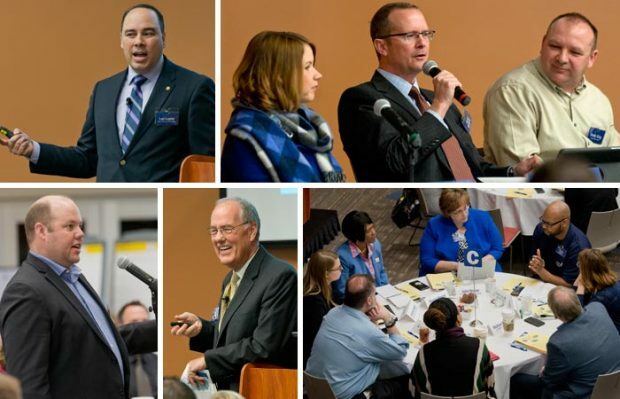 The conference included presentations from academic leaders in education and career pathways. Guests gathered info and listened to panel discussions featuring the expertise of local employers and community leaders. All of our presenters and panelists graciously donated their time and expertise in order to help the college meet student needs. The conference culminated with small group reflections and work processes in which our community leaders collaborated with ICC faculty and staff to develop strategic directions and goals that can lead the college in planning to meet workforce needs into the future. Illinois Central College would like to thank our conference presenters, industry panelists, and community leaders who graciously donated their time and expertise. The college would also like to thank our generous donors CliftonLarsonAllen, The Finch Companies, and BLDD Architects without which this conference would not have been possible. Video content from the conference will be available soon. – Thomas Aguilar, ICC Foundation Board; Alumni; Veteran; Caterpillar Inc.